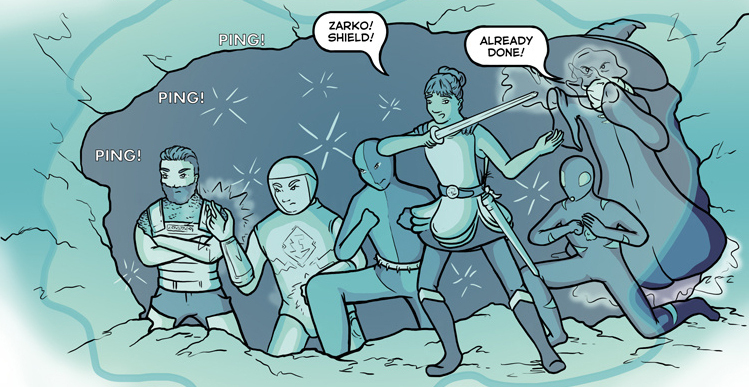 Our long awaited fight between the Electric Team and the Nazis has begun, on page 221! I haven’t had time to write a lengthy blog post for today, because I’ve been working on Bonus Special Patreon Content, which will go up tomorrow on our Patreon page. Alas, it will only be visible to our patrons, but don’t worry, if you haven’t yet, you can still sign up!